Built for IT departments with their workflows in mind. AssetSonar saves you time by making it easy to track and manage IT assets across different locations and departments. Keep tabs on your IT assets from purchase to disposal. Effective IT service delivery requires a robust support system to add the most value to your business. We integrate with SSO systems, hardware scanners, and market leading apps like Zendesk. Our REST-based API also makes custom integrations possible. AssetSonar will help you lower application clutter and improve asset deployment - all at the same time. Know exactly where your assets are and when they’re due back. This is made even easier with our label tracking capabilities - whether you’re using Barcodes, QR Codes, or RFID tags. You can also run actionable reports on custodianship, maintenance status, and more. Improved asset visibility ensures no money is lost on missing, stolen, or misplaced assets. Our automated agent-based discovery captures in-depth information about your IT asset landscape. Instantly populate your account with system and hardware details, schedule periodic audits, and simplify IT asset processing across the board. You can also use our license tracking features to lower costs and redundancies. AssetSonar enables you to manage data from multiple sources, allowing you to track the status of all your IT assets and make connections between different data points. 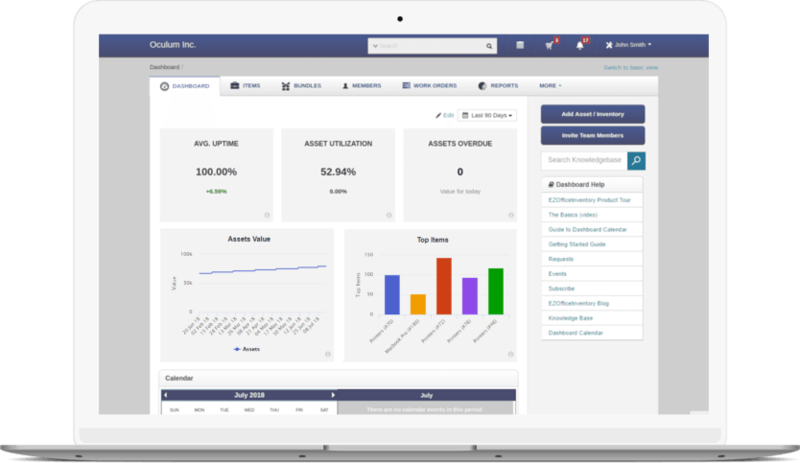 Not only do you get comprehensive information about asset specifications, vendors, and budgets, but you can also add additional insights based on our integrations with third party apps. Effective procurement management can mean the difference between inventory wastage or shortage. Our IT asset management software enables you to easily track vendors, costs, and procurement schedules. Full visibility into hardware and software asset lifecycles and usage helps your team make the right decisions when drafting purchase orders. Drowning in IT consumables? AssetSonar has got you covered! Our in-depth stock control module alerts you when minimum stock thresholds are reached, allowing you to create purchase orders as needed. This ensures you never run low on necessary items. You can also track expiration and warranty dates so you get the most out of your IT asset inventory.